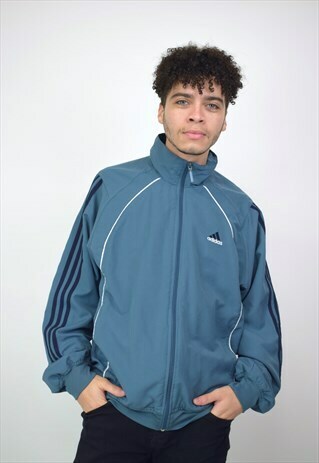 Vintage 90's Adidas Blue, Navy & White Zip-up Jacket with Pockets - Used Vintage Condition - Model is 5'1 and wears a UK 6/8 - Order before 12pm and get it shipped the same day (weekdays only) - Next Day Delivery is not available at the weekend - Check out our Instagram EASTENDTHRIFTSTORE for updates about new stock! Don't forget to FOLLOW US on ASOS Marketplace for 10% off your first order! Message us for the discount code!